The story of Mother Alexandra. 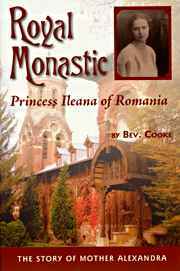 From Romanian princess to founder and abbess of the Monastery of the Transfiguration–the story of Mother Alexandra. By Bev Cook 199 pgs.